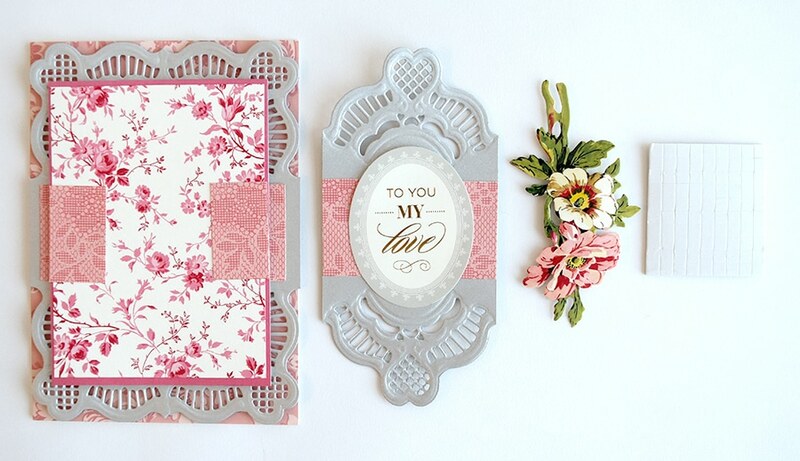 We are thrilled to bring you two beautiful projects today using our All Four Corners Dies! These dies are so versatile you can use them on all different sizes of card stock. 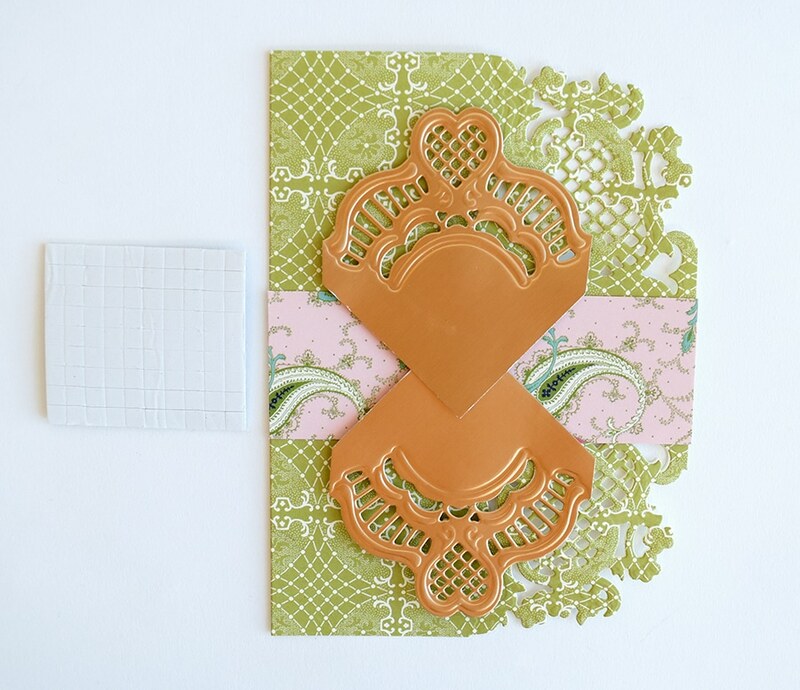 Use this die set to make elaborately cut layers on anything from 4″x 6″, 5″x 7″ and 6″x 6″ cards! Today we want to show you a few tips and tricks when cutting with these dies! 1. 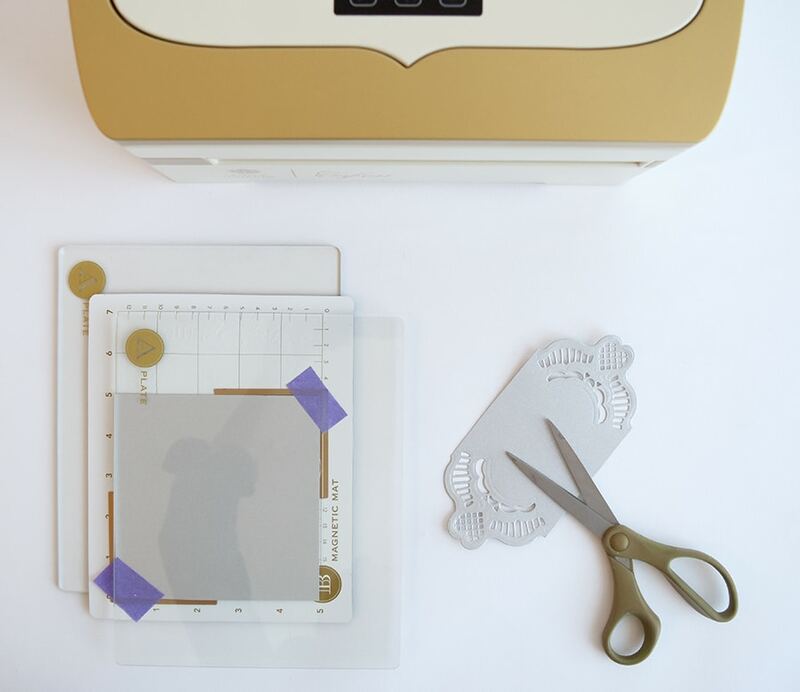 Using the Empress machine and the heart shaped corner dies, die cut the 5”x7” silver metallic card stock using the following method: with the card stock layer vertical, use the corner dies to cut the left side (top and bottom corners) and then the right. Die cut both sides, then emboss both sides. Use the grid on the magnet mat to align the corner dies. Use a low tack tape over the paper, die and mat to keep the paper from moving as you cut. 2. Using the Empress machine and the heart shaped corner dies, die cut and emboss the diagonal corners of the 5”x 5” silver card stock. Use a low tack tape over the paper, die and mat to keep the paper from moving as you cut. 3. Use a paper trimmer/ scissors to cut off the corners that were not die cut, leaving the finished piece approximately 3” wide. 1. Using foam squares, attach the 5”x 7” metallic layer to the card base. 2. Attach the 1 ¼”x 4 ½” piece of pink patterned card stock to the center of the silver metallic layer using double-sided adhesive. 3. Adhere (2) 1 ¾”x 1” pink patterned card stock pieces to the left and right side of the 3 7/8”x 5 ¼” patterned card layer using double-sided adhesive. 4. Attach to the pink card stock using double-sided adhesive to form a border. 5. Using foam squares, attach the patterned card stock layer with border to the center of the card. 6. Using double-sided adhesive, attach the smaller metallic die cut piece to the center of the card base. 7. 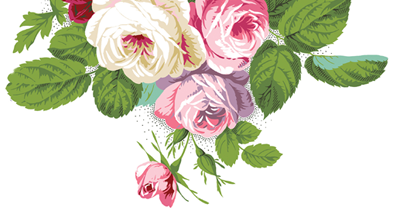 Attach the remaining two pieces of 1 ¾”x 1” pink patterned card stock using double-sided adhesive. 8. Attach the sentiment to the center of the card with double-sided adhesive. 9. Attach the floral embellishment and pink bow using foam squares. 1. 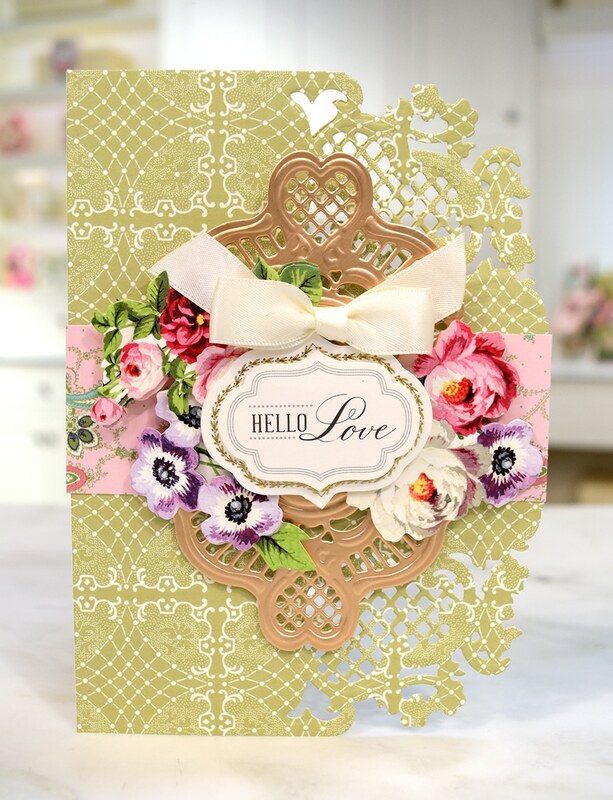 Using the Empress machine and floral corner dies, die cut the two corners on the right side of the card base. Align the corner dies with the grid on the magnetic mat. Die cut with the card closed, facing down, cutting through the back and front of the card in one pass. For the cleanest cut, place the metal shim under the magnetic mat. 2. 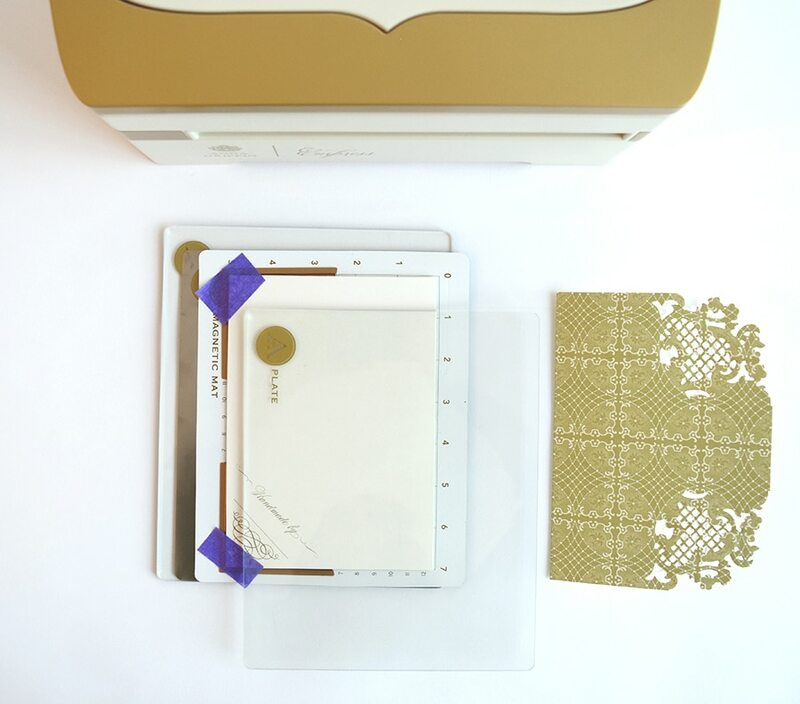 Using the Empress machine and floral corner dies, emboss the front two corners of the card base. Use low tack tape to keep the paper from moving. 3. Die cut and emboss the two rose gold card stock squares using the heart corner dies and the Empress machine. 4. Trim the corners off of the squares using scissors. 1. Using double-sided adhesive, attach the paisley patterned card stock strip horizontally to the center of the card base. 2. 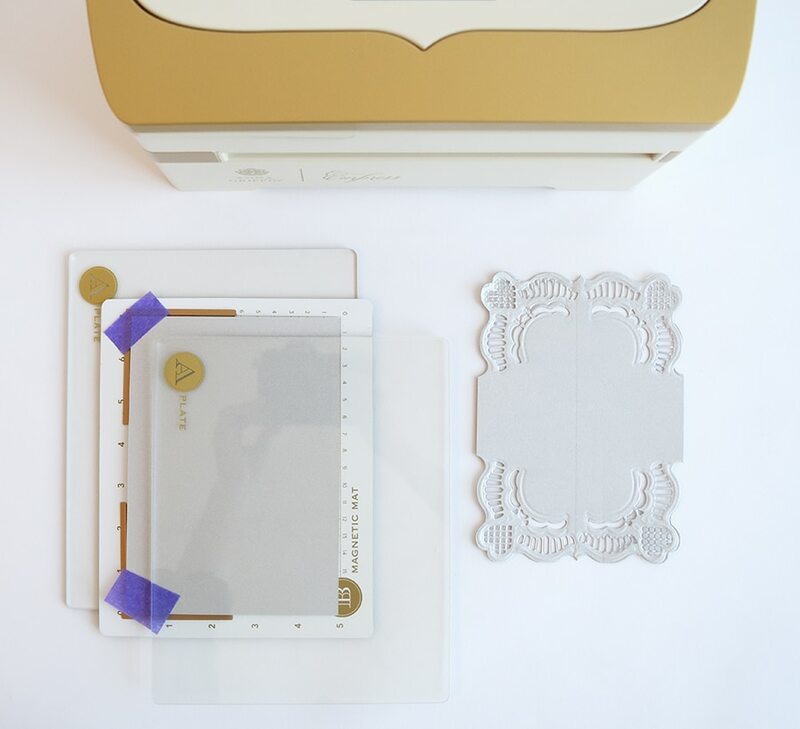 Attach the two rose gold die cut pieces to the center of the card base vertically with foam squares. 3. Trim one of the floral embellishments as shown, attach the three floral embellishments to the center of the card base. 4. Attach the sentiment and bow. Thank you for your excitement for learning. 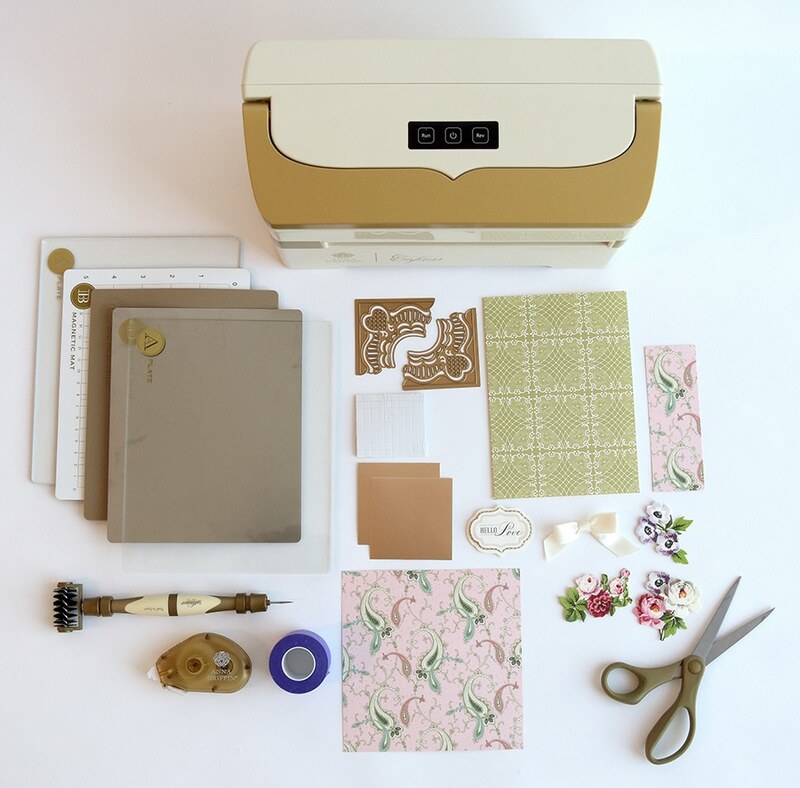 We love teaching you different skills to use with your Anna Griffin crafting arsenal! Be sure to join us next week for another inspiring tutorial and how to use our products. Fantastic ! Thank you for explaining. Hi Anna! I was just viewing this tutorial now, and I am so anxious to try out the corner dies for some wonderful cards. You make this look so easy and with the quality of your products, “Empress”!, it is. Thank you for your inspiration! Thank you for these wonderful tutorials. I really need an Empress! Thank you so much for this tutorial using those dies. I have them, but I have not used them yet. Now I can’t wait to play! I use blue painters tape, when I am using stencils, and it also works with dies. Thanks for the inspiration and certainly those little tips that help us make gorgeous cards with less hassle but looks like we put in lots more effort!!! lol Very cleaver and thanks for helping us work smarter not harder! Your tutorial today was just delightful!! Love those two gorgeous cards and you make it look so easy!! And you showed all the necessities of owning these regular fantastic tools like the Tool n’ one! Love you and all of your help is so appreciated!! Thank you for this tutorial, great ideas! How / where can I get a set of the jacket dies. I bought the holly one at Christmas, but it doesn’t look like I’m down for the auto ship. Would LOVE to find a way to get a set of these. Hi Rebecca! We can absolutely help you get these beautiful jacket card dies home! Just contact our customer service at: (888) 817-8170 Can’t wait to see what you make with them! I love this tutorial! Such beautiful cards. Thank you, Anna. Thanks for the tutorials, always awesome to see new things and learn. As crafters we should always share our love of what we do. i remember when I was learning crochet from my mom at 5 yrs old, if it was not for her love of crocheting and many other crafts I think I would not be doing what I do today, so your knowledge of something can make an impact on others.😊. Thanks again Anna and team for sharing. Wonderful tips & tricks – thank you! Never would have thought of these creative ways to use this die set. LoVe the tutorial! 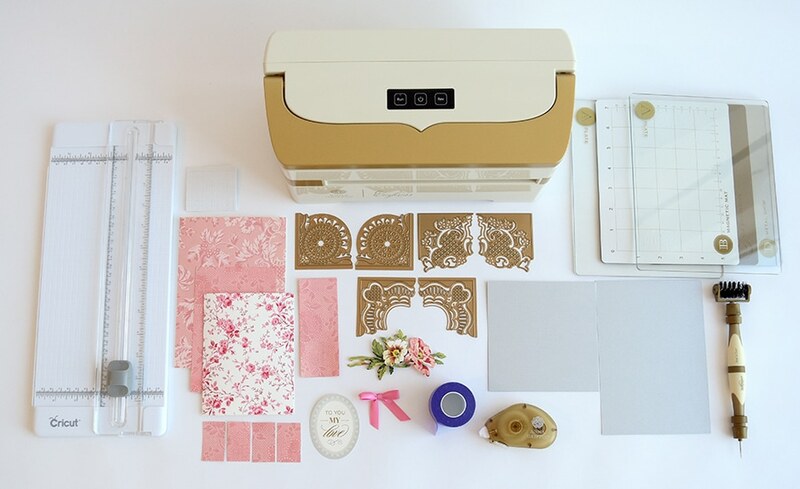 So much versatility for beautiful in the making with these dies! I love the idea of using the four square corner dies & will be ordering them to do this tutorial for sure. Thanks, Anna, for the demonstration of how to make those gorgeous cards! Tutorial Tuesdays are a Treasure. Thank you. So beautiful! I can’t wait to try this! Loving these wonderful tutorials! Please keep them coming. Love the tricks to cut 2 sheets at once on the folded card! Loving Tutorial Tuesdays!!!! Thank You so much for clearing up how to use these dies, it makes a big difference. Just OUTSTANDING Anna. That was a great demonstration. Thank you!!!!! The 4 corner dies are beautiful! So many ways to use them, yay!! Your papers are so gorgeous. Great tips on embossing the corners Anna. Thanks !!! Another excellent video diy from Anna. Love this. Great inspiration. Just want to put in a request for some new ideas for Anna to manufacture (now that you took my advice and made the Empress…LOL! Yes, I am kidding…) I craft on my lap and think a lap caddy in ivory and gold would be awesome. Needs slots for tools, clip like a clipboard on the side, and a handle to carry it. Nice, durable craft surface using a cutting mat made to fit, and durable fabric for cushion bottom of the caddy. Also, I love the Deflecto new desk tray for plates, but I would really love some of your nice standing storage boxes in you lovely patterns for our large Empress plates and new dies that do not fit in your binders. My guess is others are trying to figure out how to store the new goodies made for fitting the Empress using larger dies. Tutorial Tuesday’s are such a GREAT idea❗️When you are on HSN there really isn’t enough time to explain everything. Love all your tips and tricks! They are so pretty I love the “how to’s” that you show us. Thanks for the wonderful ideas Anna! This tutorial was so helpful! I am so glad to know the measurement of the 5 inch square with the opposite corners cut out. I think these are so beautiful. Thanks so very much for these tutorials…like having you with me every step! Love Love those Corners. I’ve ordered these in Dec, but for some reason HSN cancelled my order, after it was on extended delivery. You can get them on our website: https://annagriffin.com/product/all-four-corners-cut-emboss-dies/. Thanks Anna, love tutorial Tuesday. Just got my empress and so love it. As soon as I pay it off I might have to spring for the dies you showed today. The corner does are versatile and quite beautiful! Thank you for the tutorials on Tuesdays..so informative and fun! I learned how to place the paper on corner dies. I was putting them right out to the 5×7 corner before! And I learned how to use the dies right through the whole card! Also how to make the smaller layers! Such fun! Great tutorial! How beautiful! Love the corner dies. Thanks for the tutorial. Those corner dies are really neat. May have to be my next purchase. Thanks for the instructions. Thank you for Tuesday lessons. They will help a lot. How much fun was that! I have the corner dies and I know how to use them. Thanks, Anna! Appreciate and enjoy Tutorial Tuesdays! I love all the heart products so very beautiful. LOVE your blouse! I love the corner dies. These are different!! I hope they will be available for me to purchase! Anna, I so look forward to your very special Tuesday Tutorials and thank you for making them and sharing this with all of us. You always teach us something new and I especially loved you pointing out the little trick about embossing; something I missed in your other demos. Thank you! Thank you for that embossing trick, now I understand how to do it! And I did go a ha! What I loved most about today’s post are what looks like tags but are part of the card centers. I had not thought of using the dies like this. I can’t wait to create some! Thanks Anna! Totally agree with the others that watching tutorials makes all the difference in learning to do something new. And with all your products I already own I’d love to make the most of them! Thank you. Really enjoy. the tutorials. They help so much with how to use dies, etc. and I love the examples you show us to give us ideas. Thanks so much! This was absolutely awesome! Many of us are just starting out and these tutorials are exactly what is needed. There are extra little things I do not have that I see used in the tutorials that I am definitely buying. I have the Empress and that is amazing. Thank you, Anna! The cards are absolutely stunning! Been making cards the last few snowy days here in Wisconsin. Haven’t tried the four corners dies so this is a good time for that. Made six cards with my new Twist and Pop Card Kit and while the first was a learning experience, the others turned out well. I find it is easier to assemble all I plan to make and then go back and embellish them. They do take some practice, but are worth the extra time! So pretty! Great ideas, thanks for sharing! Anna has so many wonderful creations! Thank you for the lesson on designing a beautiful card in very easy steps. Your sharing gives me confidence in making new cards. I have been so busy packing up my extensive holiday collection of decorations that I still have not even had a chance to use these dies! They are on my kitchen counter just waiting for me to completely finish then I will set up to do some paper crafting, inviting a friend to experience it too. One nice thing is that even though my friend does not have all of your goodies, I do share my toys. So we will have so much fun with truly beautiful in the making. Love these tutorials. Thank you. Oh my word, how in the world do you invent all of these tricks? Love watching you demonstrate. I learn so much. Love it! I LOVE THE EMPRESS DIE CUT MACHINE. SO MANY THINGS YOU CAN DO. 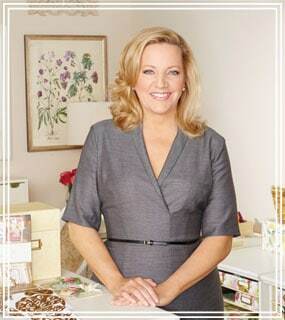 MY CRAFT ROOM IS OVERFLOWING WITH ANNA GRIFFIN GADGETS TO PLAY WITH AND MAKE NEW DESIGNS. THANKS AGAIN ANNA FOR A FUN FILLED CRAFT DAY. I LOVE THESE TUTORIAL TUESDAYS. Beautiful. The Corner Dies give such versatile placement of the ornate dies. What a great idea for making corners come alive in the design. 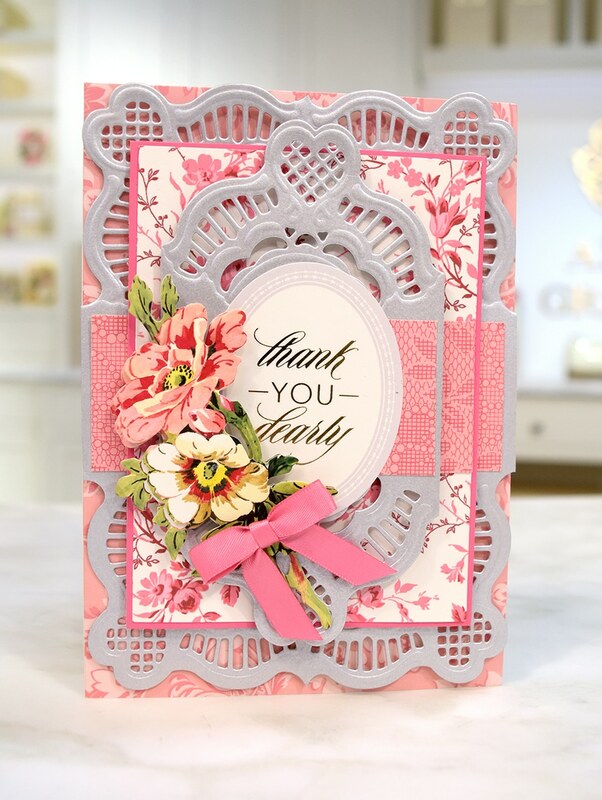 All the corners have the vintage look that makes any card spectacular. Thanks for the tutorial —-it really stimulates ideas for the use of the corners. I am doing Valentines now. Wish I had the corners now. Your tutorial is great! So much we can do with all our dies. I want to thank you for caring so much 💗 for your customers. Your books should be here today. Wow! What a great tip on letting half the card hang out when embossing the other half. I have all your dies and will start working on my Valentine cards as soon as I can. Thanks for the tutorial. Great ideas! I absolutely Love the Tutorials!!!!!!! I have been watching the Empress Machine. The Empress is going to be My next purchase when You are on HSN. My Granddaughter is Autistic and whenever She comes to visit, Her and I make cards so that We can send them to each other. Making cards is one thing that She will work on for hours. She also Loves getting mail from Her Granny!!!!! Thank You again, Anna!!!!!! I love your tutorials!! So informative and such good ideas!!! Thank you for the tutorials. There are some AG kits/dies/emboss that I purchased that I haven’t used because I didn’t know how to use them. I am always checking on the Internet and eventually a video will pop up – sometimes not by you, but the tutorials still help. However your tutorials are great, I look forward to Tuesday Tutorials. Thank you. Thank you! Love your Tutorial Tuesday. The corner dies are ones I purchased but have yet to use. The heart corners are great as I am starting my valentines. Thank you so much for tutorial Tuesday’s -they are wonderful as are you😇. It is very cold and snowy here in Michigan and I am sitting at the kitchen table having fun making cards and looking out at the snow! Oh Anna thank you for this tutorial ! !!!! I was so confused on how to use these effectively that I actually considered sending them back! NO WAY NOW! lol! This was just what I needed to stir up my imagination ! THANK YOU SWEET ANNA!! Gorgeous cards Anna, thanks for the great tips and wonderful tutorial. I can see where buying a second set would be extremely helpful. Think I might have to do that. Love this die set. Wow! Anna, these are terrific cards showing uses of the Corner Dies. They really are pretty. Thanks for your Tutorials. Thank you so much for this tutorial as I have those dies and experienced with but didn’t know how to emboss both side. Wow! The mystery is solved of how to cut these dies! Thank you so much for this very informative and necessary tutorial. These dies are gorgeous and I am so glad to know how to cut and emboss with them. Thank you! Thank you so much for these tutorials! They are so helpful and I learn something new every time I watch one. Thank you so much Anna for these Tuesday Tutorials. I have purchased the 4 corner dies but haven’t used this just yet. This inspires me with upcoming Valentine’s day for card making!! Love all your products….the Empress machine is awesome! Lover it. Beautiful Anna! Thank you for the inspiration for the corner dies. I cannot wait to try this tutorial for myself. Oh Anna! i love those corner heart dies. They make such elegant cards. Thank you for sharing. So enjoy your instruction videos…really is a help. Thank you for the tips and step by step process in making beautiful cards. You help my creative juices start to flow. I like your new corner dies, especially the heart! Nice idea. Love ability to buy these special things such as bows and plain ivory cards. YOUR TECHNIQUE IS SO SIMPLE AND REALLY STUNNING! THANK YOU SO MUCH FOR THIS TUTORIAL ANNA! As usual….the dies are beautiful!!!! I wonder if the corner dies are large enough to use on scrapbook pages. Thank you ! So looking forward to all renovation getting do in my house so I can get my craft room up and running…got all these wonderful Anna products and can’t create. Really enjoyed today’s lesson. I picked up several good tips and will put them to good use! Thanks! Great tips! Thank you, Miss Anna! Those corner dies are so versatile. Anna I love Tuesday, and I especially love the cards ideas. You have beautiful die cutting dies. How can I watch Feb. 8 there are things I would love to order especially the Birthday topper. Love those corner dies. Thanks for the information….maybe now I can keep things aligned! Beautiful cards! Happy Crafting to everyone! You are such a ray of sunshine and inspiration on these gloomy winter days! Love tutorial Tuesdays and love these corner dies! Great tutorial! I will be trying these cards later today! This helped me understand how to get things lined up properly. You can get them on our website: https://annagriffin.com/product/all-four-corners-cut-emboss-dies/! Stunning, romantic cards. Thanks for showing the hanging off the edge technique. With the width of the Empress opening, this opens up a new world of sizes that can hang. I’m excited! Love Tutorial Tuesdays I am learning such great tipster die cutting. This was a great idea especially since you can play video as you are working with our dies. Want to attend Create 5 this year with my cousin hope we can get in this year. Thanks Anna for all you do and your great products.